ANZ has won the 2017 Canstar Bank of the Year – Agribusiness award. 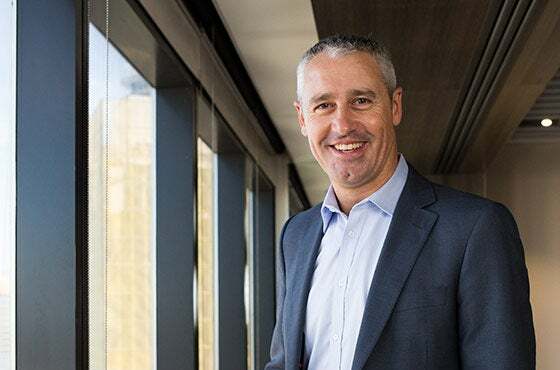 We catch up with Mark Hiddleston, ANZ New Zealand commercial and agriculture managing director, about how the bank is supporting generations of farmers. 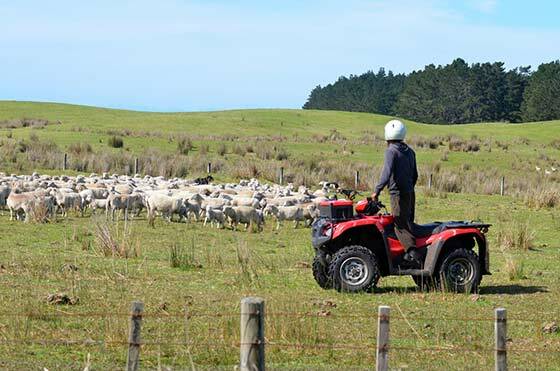 What are the challenges, domestic and international, facing New Zealand agribusinesses and how does ANZ help these businesses tackle these challenges? ANZ brings together different banking perspectives from different stakeholders and gets involved in rural community activities, such as through sponsorship and volunteer days. ANZ helps with providing access/contacts to experts in these areas through a strong relationship network across New Zealand. ANZ also provides information on many of these topics through our economic research publications. ANZ also supports young farmers, including through a strong graduate programme, providing the opportunity to pick up banking and corporate skills. We also support young farmers with a specific banking package, by backing share milkers and contract milkers and by facilitating succession with family businesses. Tapping into new technology and innovation is another domestic challenge for agribusinesses. The pace of change is difficult to keep abreast of. ANZ helps in this area by financing new technology/innovation investments in businesses, for example different production systems, changing to new kiwifruit or pip fruit varieties and investment in robotics and automation technology. ANZ also provides capital to invest in new technology to help with traceability of the entire food chain, to ensure integrity and safety. ANZ is also a partner in the Red Meat Profit Partnership, including working with Beef and Lamb New Zealand to help boost demand for New Zealand red meat products. International challenges for the agribusiness sector includes market and compliance requirements. ANZ helps provide access to experts in this area. Tapping into new markets is also an international challenge. ANZ conducts tours through China to introduce businesses to one another and to examine what is happening on the ground. 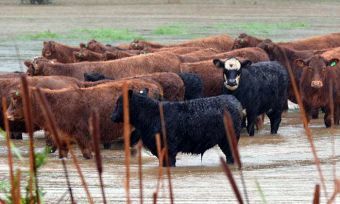 There have been some extreme weather conditions in New Zealand in recent months with flooding and the Kaikoura earthquake. How has ANZ’s formal disaster relief helped its rural customers and why do you believe this sort of financial support is important? 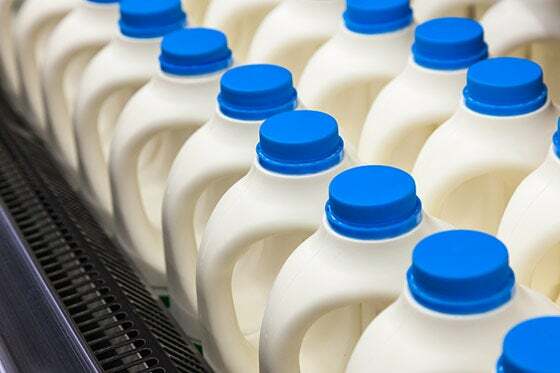 The team managing clients affected by the Kaikoura/Waiau earthquake proactively approved additional seasonal finance, where clients’ cash flows were disrupted, either by milk not being able to be collected by Fonterra, or stock not able to be shifted off of hill country properties. The bank monitored the worst affected clients during this period and worked through options to restore fencing, stock water and dairy sheds, including using environmental loans/ pasture productivity loans, as required. In some cases, amortisation was deferred, along with waiving loan setup fees, to support clients coping under extreme pressure. The team also helped out on the farm during volunteer week on remote properties in the Waiau area, to support recovery in March. The research team was impressed with ANZ’s education services for agribusiness. Can you tell us more about these services and why you run them? We are committed to the future of New Zealand and know that the agribusiness sector is an integral part of the country’s future success. Helping maximise farm productivity and assisting the next generation get on the land are priorities for us. We work with industry organisations to increase agribusiness management skills and provide young farmers with personal development opportunities. ANZ is a major partner of NZ Young Farmers and provides Future Leadership Scholarship to young farmers each year. ANZ has been the Strategic Partner of the Agri-Women’s Development Trust (AWDT) since 2012. We have aligned our self with the AWDT to demonstrate our support for women in agribusiness. Researchers also took note of ANZ’s strength with its distribution network, including with its rural relationship managers. At ANZ, what do you see as the role of the rural relationship manager and what can they offer rural businesses? At ANZ, we’ve helped generations of farmers and business owners succeed, so we understand the unique challenges and complexities of running an agribusiness. Our long-standing history and broad presence has given us a depth of understanding of farming that is second to none. This knowledge and experience is something to share with our customers, to help them achieve their own success. Our network of rural relationship managers is there to provide our customers with local support, industry knowledge and expertise across 38 regions nationwide. 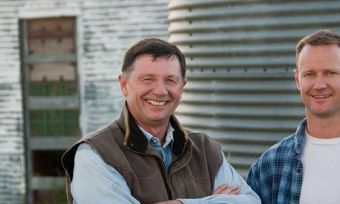 Being part of the wider ANZ group means our customers are connected to farmers around the world, but also to destination markets, giving them access to global trends and vital networks. We offer our customers access to agriculture economics that provide an in-depth analysis of rural markets and commodities. With support from a wider economics team, we can help our customers understand the macro-economic environment and the issues that may directly or indirectly impact their business. 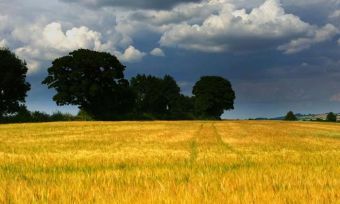 We understand that farms are family businesses that are often passed on through intergenerational succession, so we work with agribusiness professionals, who can help in this area, to run seminars and discussions forums. We also recognise that planning is important, our farm start-up package offers access to free business planning workshops with hands-on support from our experienced rural relationship managers. We also recognise that we have a vital role in supporting agribusiness communities and the agribusiness sector. We’ve done this through a range of local and national sponsorships, support for industry bodies and funding of innovative projects. We are working closely with the industry and Government on the development of irrigation schemes to assist New Zealand farmers to maximise the productivity and profitability of their agribusiness. ANZ has received the Canstar Bank of the Year – Agribusiness award based on the strong performance of their products in Canstar’s star ratings, as well as what they are offering the agriculture sector from an institutional point of view, Canstar New Zealand general manager Jose George says. The accessibility of their large network of rural managers available over the phone and email, as well as in their branches across the country. ANZ Rural Development Loan – flexible line-of-credit of up to $1,000,000 for investing in the farm. E.g. For form conversion, feed systems, milking technology, stock housing and irrigation. ANZ Farm Start-up Package – term loan/overdraft facility of up to $50,000 for start-up capital. Also includes discounts on other ANZ products both business and personal.